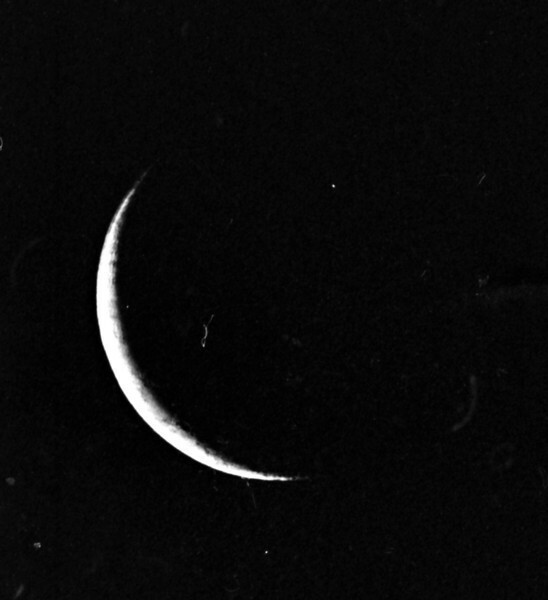 Crescent Moon - late 1978? The film had been stored poorly over the years and contains many scratches and dust spots. Scanned using Canon MP980 MFP 20/09/2012. Post processed by Adobe Photoshop CS5. Camera Zenit-E 35mm SLR on 8" f/6 Newtonian prime focus, exposure unknown with Kodak Tri-X 400ASA film.